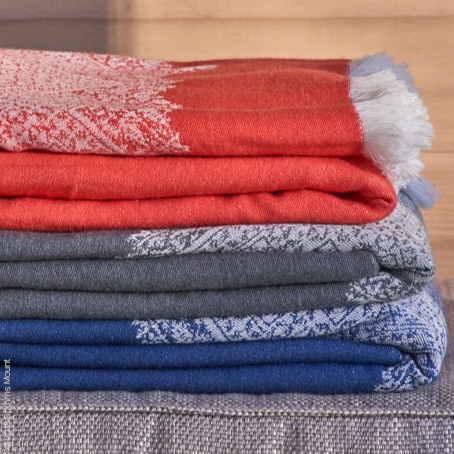 Inspired by the gorgeous embroideries from Fez, Morocco, Brahms Mount weaves this throw in the U.S. on jacquard looms from super-soft, fine micron wool. Fez Wool Throw will add a dash of bohemian chic to any room. Woven in the U.S.A.